North Carolina Landlord Tenant Laws are governed by the General Statutes, Chapter 42, Landlord and Tenant. The statutes explain terms, the rights and responsibilities of the parties and remedies for violations. Stay up to date on North Carolina Landlord Tenant Laws + Save money on tenant screening and other property management needs. Join AAOA today, it’s FREE! The landlord must return the security deposit within 30 days of termination of the tenancy. If the landlord withholds any part of the security deposit for damages, an itemized listing and the amount withheld for each item must be provided to the tenant in writing, along with the remainder of the security deposit. Landlords cannot withhold any portion of the security deposit for normal wear and tear. Provide operable smoke alarms, either battery-operated or electrical, having an Underwriters’ Laboratories, Inc., listing or other equivalent national testing laboratory approval, and install the smoke alarms in accordance with either the standards of the National Fire Protection Association or the minimum protection designated in the manufacturer’s instructions, which the landlord shall retain or provide as proof of compliance. If a tenant notifies the landlord that a smoke detector or carbon monoxide detector is defective, the landlord is required to repair or replace it within 15 days. If a landlord fails to install proper smoke detectors and carbon monoxide detectors “within 30 days of having received written notice from the tenant or any agent of State or local government of the landlord’s failure to do so,” the landlord can face a fine of up to $250 for each violation. If a tenant damages or destroys a smoke detector or carbon monoxide detector, the tenant must reimburse the landlord for the cost of replacement or face up to a $100 fine. Expedited eviction is also permitted if a tenant allows a person formerly barred from the premises back inside. North Carolina Tenant Screening allows you to quickly eliminate unqualified applicants and rent to the best tenants while North Carolina Landlord Forms provides you with professionally created landlord forms. A key component of landlord tenant laws is also North Carolina Tenant Screening Background Checks. We’ve dedicated an entire page to it because of its importance. Visit North Carolina Tenant Screening Background Checks to screen your tenant. All states require a variety of forms to rent an apartment to a tenant and North Carolina is no exception. Check out American Apartment Owners Association’s North Carolina Landlord Forms now. 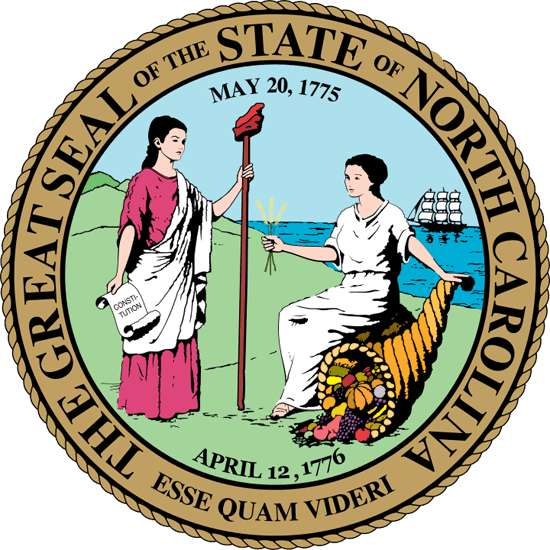 Looking for landlord tenant laws outside of North Carolina? The American Apartment Owners Association offers helpful landlord tenant laws for all 50 states. Click on any of the states listed below and go directly to its landlord tenant law page. To visit the homepage of landlord tenant laws, click here.